SKU: AA49306. Category: Travel. 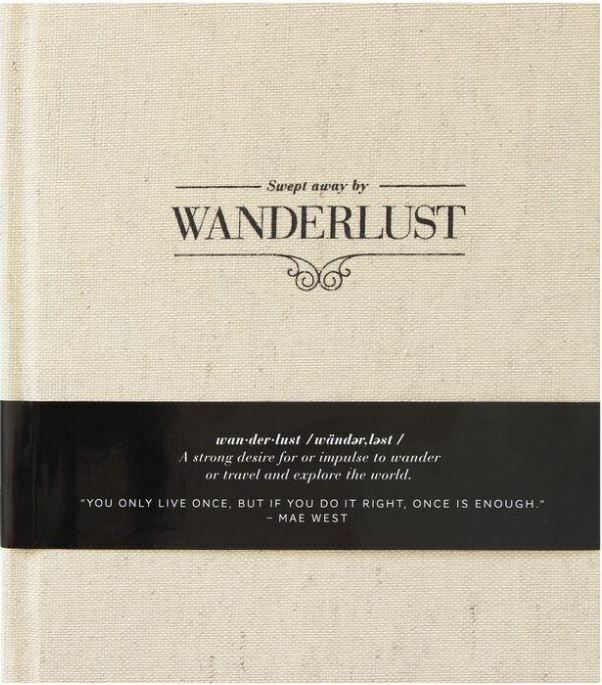 Tags: coffee table book, inspiration, inspirational, journals, journey, travel, wanderlust. Beautifully bound in an earthy latte-colored cloth this charming journal is for the free-spirited traveler who wants to document their journey in a chic yet simple way. With every page individually designed, this journal is full of quirky questions, fun writing prompts and list pages and is the ultimate way to capture your travel memories!